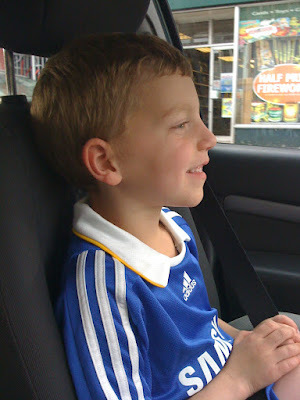 Joe Blogs: Jim Bob, just where do you think you're going? 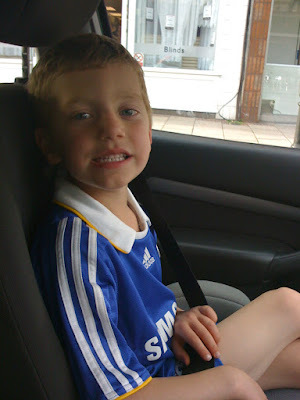 Originally I was only meant to pick up some football socks for my son this morning but instead I walked out of the sports store with the full Chelsea home kit. He was overly thankful, he went on to play well and hit the post but was prevented from any real opportunities as a boy on his team would not pass the ball. During football I phoned the children's Grandfather as I am after tickets for Vampire Weekend at the Forum and he has a lot of knowledge in this field. My partner and her friend already have tickets as her friend works for a marketing company and these are offered as incentives/promotions. I have been trying to locate tickets through the obvious sources but haven't been successful. I was lucky with Fall Out Boy as I managed to get tickets late for Wednesday but with this being a much smaller venue I expect availability is limited. I am left looking to try and obtain one from the touts outside the venue but I don't really want to be paying overly inflated prices. He told me to just head to the venue and I should easily pick up tickets on the cheap [£10].. Curiosity got the better as we drove by his partners car as not met her before and probably won't to be fair. She is a figure in our complex situation though, which is unique in that it has a lot of coverage across several families. Maybe I should organise a Christmas meal for everyone involved although this will resemble something along the lines of The Waltons on acid!